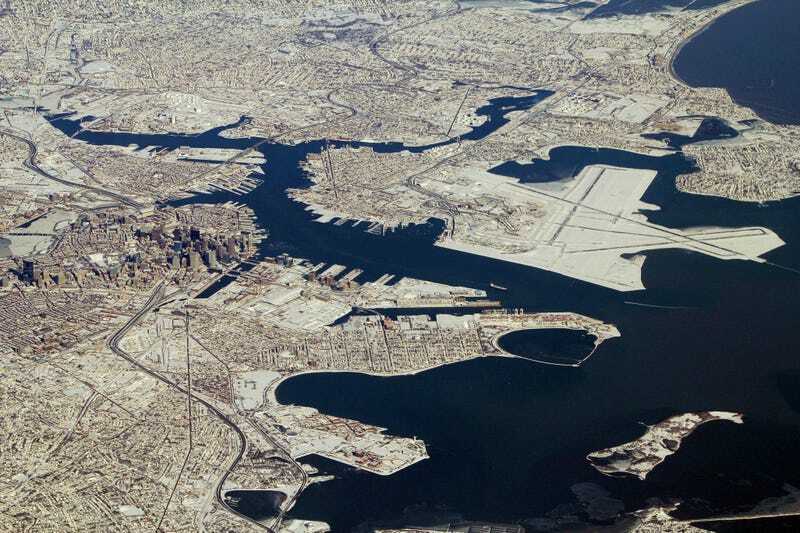 Did you know that, from the air, the arrangement and structure of Boston's buildings, and the positioning of those buildings relative to one another, looks a lot like the molecular structure of an "amorphous liquid"? Seattle and L.A. do, too. Chicago, with its rigid grid system, apparently looks like glass. So far, Ulm says, the work has two potential applications. First, it could help predict and mitigate urban heat island effects, the fact that cities tend to be several degrees warmer than their surrounding areas—a phenomenon that has a major impact on energy use. (His research on how this relates to structure is currently undergoing peer review.) Second, he says that cities' molecular order (or disorder) may also affect their vulnerability to the kinds of catastrophic weather events that are becoming more frequent thanks to climate change. But it is warming to these efforts. Today scientists are some of the leading investigators of urban design issues. "There have been ideas about cities since Aristotle and Plato," said Luis Bettencourt, professor of complex systems at the Santa Fe Institute. "But the ways we can measure cities, test ideas, and compare cities across time and place and size has become so much more possible, that we can now test those ideas." Bettencourt, who was trained as a theoretical physicist, published a paper in Science last summer proposing a new quantitative framework for understanding cities: They are a unique complex system, he argues, with predictable social, spatial, and infrastructure properties.